What do Mexico’s Andrés Manuel López Obrador, Hungary’s Viktor Orbán, the Philippines’ Rodrigo Duterte and Venezuela’s Hugo Chávez have in common? They’ve all been branded as populists, both celebratorily and scathingly. As Brazil heads to elections on October 7, all eyes are on ultra-conservative candidate Jair Bolsonaro – who brazenly rejects political correctness, defends Brazil’s authoritarian past and promises to upend the establishment – as the latest in a line of political strongmen turning citizen malaise into electoral success. Charismatic populist leaders present society as divided into two separate and homogeneous entities: the corrupt elite, and the pure people who the corrupt have oppressed. Proclaiming their direct link to the people (often enabled by social networks), they tend to eschew representative institutions and checks and balances. While left-wing populists take a class-based approach pitting working and middle-class people against a greedy economic elite, right-wing populists typically define the people as an exclusive group along ethnic, racial or national lines. Latin America has certainly seen its share of left-wing populist movements: think Argentina’s Peron and later Venezuela’s Chavez, Obrador’s recent success in Mexico, and Brazil’s own Luiz Inácio Lula da Silva, once revered for his social programs like Bolsa Família (Family Allowance) and called “the most popular politician on earth” by President Obama. However, Jair Bolsonaro’s election would be Latin America’s first right-wing populist manifestation of the tidal forces of economic recession, cultural backlash and rejection of status quo politics that have destabilized traditional parties, reshuffled alliances and driven voters to ideological extremes in other parts of the world. His rise can be seen within a broader context of economic, political and cultural insecurity that motivate voters to seek protection and simple solutions to daunting societal problems. As I argued in my master’s thesis, a belief in a dysfunctional or unfair economic and political system – along with a rejection of globalization and seemingly uncontrolled migration – are the strongest indicators of the right-wing populist vote in the United States and Europe. Unlike in those regions, globalization and migration have not emerged as central issues in Brazil (though immigration could be politicized in the future as thousands flee Venezuela). 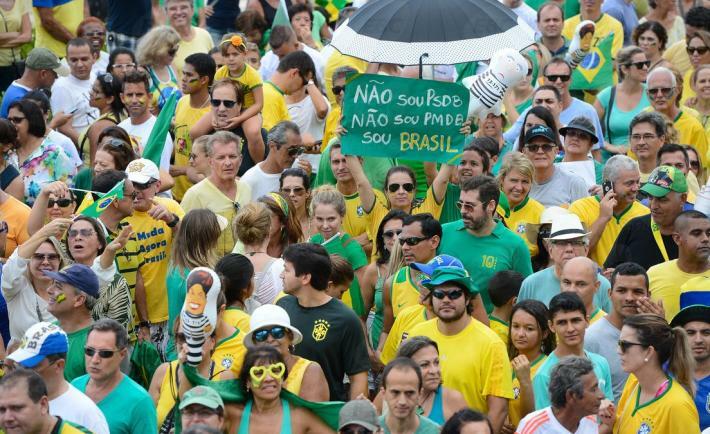 Instead, the former two grievances have been most significant, with public fury over economic stagnation and rampant corruption propelling Bolsonaro’s popularity. Brazil is suffering its worst recession in history with a twelve percent unemployment rate, and is still reeling from the ‘Lava Jato’ (Car Wash) scandal that uncovered a complex web of corruption and jailed Lula da Silva, the front-runner in 2018 election polls until the Supreme Electoral Court officially disqualified him from running on September 1. Security is the third critical issue. Brazil has a homicide rate about seven times greater than in the US, and crime rates in Río de Janeiro have only gone up since current President Michel Temer’s February decision to give the military control of ensuring public security. Bolsonaro’s defense of the military and promotion of gun ownership and law enforcement appeal to voters who want to crack down on crime. Finally, the Internet has played a central role in amplifying Bolsonaro’s message, with fact checkers pointing to social media bots and fake news spread on encrypted apps like Whatsapp as rampant and particularly influential in Brazil’s polarized political landscape. The dramatic election saga will not end on October 7. If no candidate wins a majority – and with Bolsonaro's polling at 31 percent this is unlikely to occur – the country will move to second-round elections. This scenario is likely to pit Bolsonaro against former São Paulo mayor Fernando Haddad, portrayed by the Workers’ Party as a direct manifestation of Lula da Silva. Voters would then face a choice between two nostalgic visions for Brazil, with Bolsonaro’s vision praising the country’s 20-year military dictatorship with an emphasis on authority and security and Haddad harking back to the glory days of the social-justice-minded Workers’ Party. A Bolsonaro presidency would be a sobering development for Brazil, raising questions across the region about how to hold corrupt politicians to account without provoking furious voters to, as put by the Economist, “fall for the vain promises of a dangerous politician in the hope that he can solve all their problems.” All those interested in promoting stable, transparent institutions while fostering popular legitimacy will be watching.